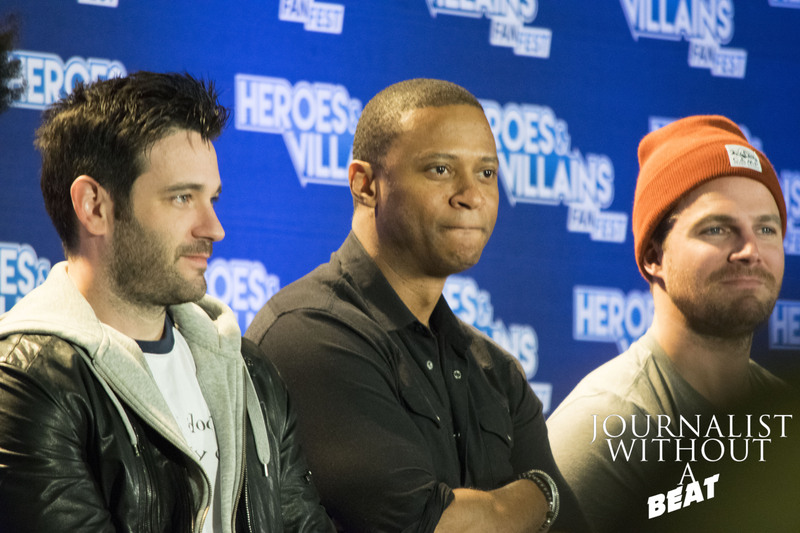 The Heroes & Villains Fan Fest held many exclusive panels with the casts of Arrow, The Flash, DC’s Legends of Tomorrow and Gotham. During the panels, the actors and actresses shared some fun facts about their respective show and also revealed some important information. I attended all the show panels and have compiled a list of all the important key notes from each. Caity Lotz stated she loves working on DC’s Legends of Tomorrow, but says she may be back on Arrow soon. All actresses stated they all have fun on set. Teddy Sears said playing Jay Garrick was the biggest gift of his acting career. To prepare for his role of “Firestorm”, Robbie Amell said DC sent him a ton of Justice League comics. Danielle Panabaker would love to continue playing the evil Killer Frost, but said she would miss “Caitlin”. Robbie Amell wants to see Suicide Squad in theaters, and recommends seeing Deadpool. 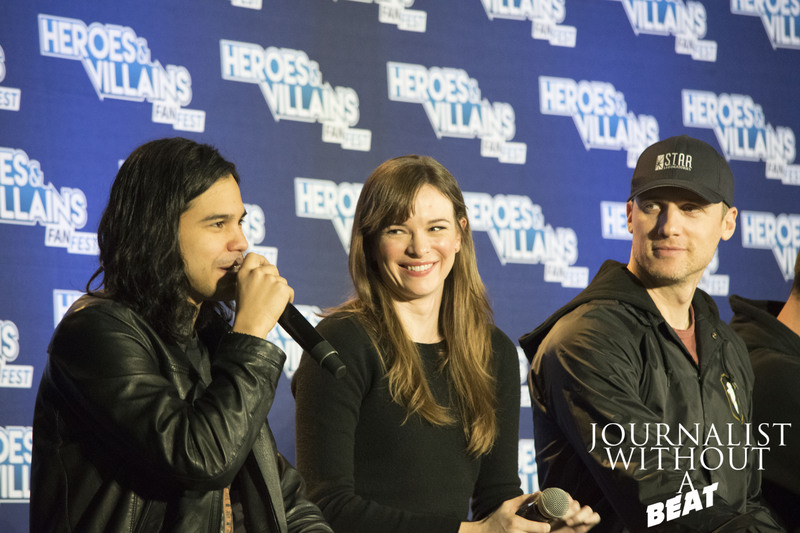 The cast of “The Flash” stated they do see Grant Gust doing Fan Fests/Conventions in the near future. 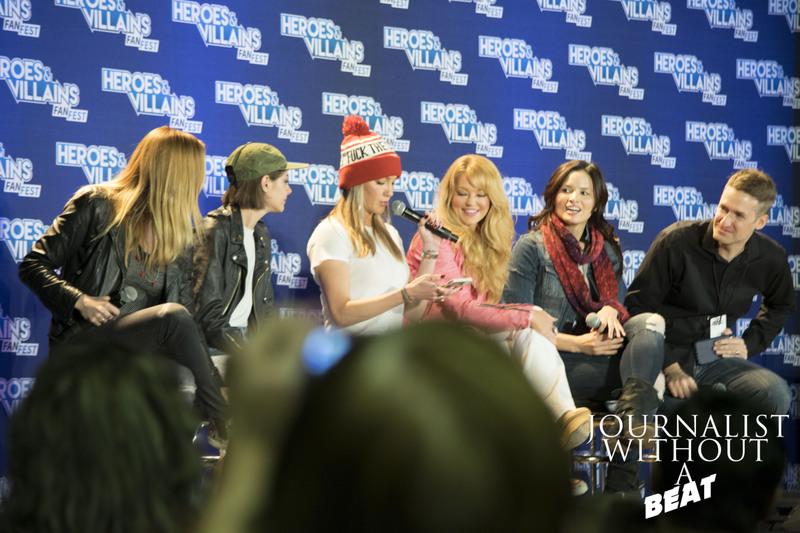 When asked what were their favorite super heroes growing up, Ciara Renée recalled her favorite being Batman along with Gargoyles . Caity Lotz had a love/hate relationship in The Joker as her favorite super hero (or villain) growing up. Indiana Jones was Arthur Darvill’s favorite. Stephen Amell stated that each year that Arrow and The Flash are on TV, there will be a crossover episode. Stephen Amell said it takes 30 minutes to apply the wig he wears in flashback scenes on Arrow. If Felicity had a super power, it would be “Mind Control” according to Amell. Echo Kellum states he geeks out to “The Walking Dead”. Robin Lord Taylor said he would not gain weight for a future version of Penguin, but would invest in a “fat suit”. Robin Lord Taylor would love a “run for office” storyline on Gotham for Penguin. “The comic that spoke to me the most was Penguin: Pain and Prejudice” – Robin Lord Taylor on his favorite comic. Robin Lord Taylor favorite episode of Gotham Season 2 is episode 16. Which hasn’t aired yet. David Mazouz crashed the panel dressed as Batman. All said they have taken something from the set. 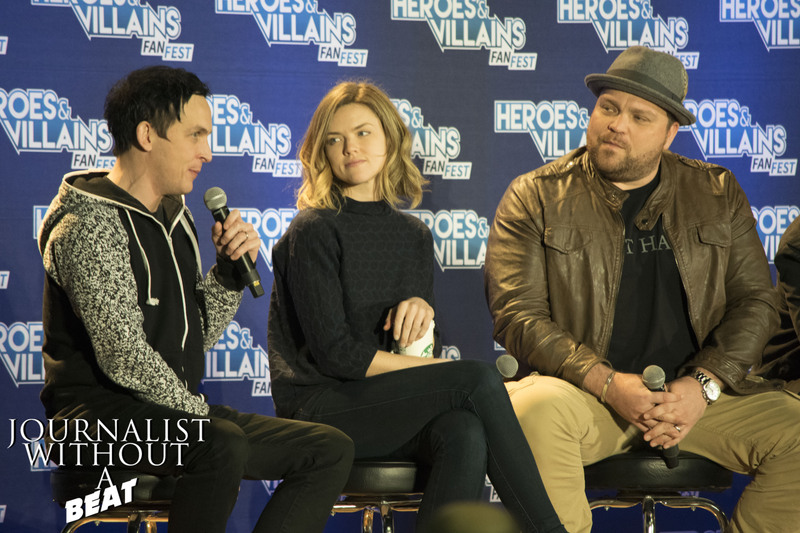 Robin Lord Taylor took newspapers, Drew Powell has a “Butch” suit in his closet & Erin Richards added a picture of her own grandparents to Barbara’s apartment.